Pediatric healthcare systems in both the United States and Canada are facing unique challenges in serving children and maintaining centres of excellence. These challenges stem from, but are not limited to, inadequate government-issued health research funding; the demand to provide excellent care with, at times, limited resources; and patients' access to care. They are also due to the discrepancy between the technology that is being developed in the biomedical field and the lack of translation that is seen from this innovation to pediatric medicine. Earlier this year, I had the opportunity to attend Pediatrics 2040: Trends and Innovations for the Next 25 Years (pediatrics2040.org). The mission of the conference is to engender and support an ecosystem of pediatric innovators to improve health care for all children. The conference was held by the newly forming International Society for Pediatric Innovation (iSPI) and hosted by the Children's Hospital of Orange County (CHOC Children's). It was developed under the direction of Anthony Chang, M.D., Chief Intelligence and Innovation Officer, CHOC Children's, Chair of Pediatrics 2040 and Founder of iSPI. Dr. Chang is an internationally-renowned expert in the field of pediatric cardiology who leads pediatric heart teams all over the world. 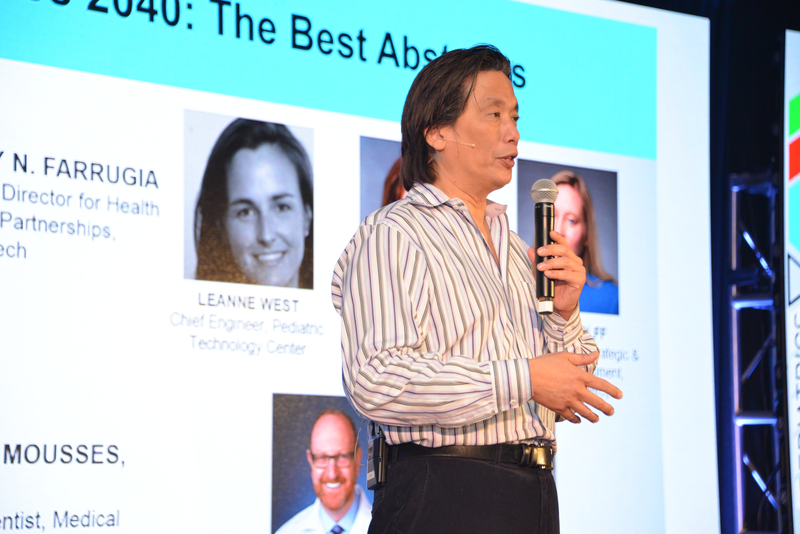 Pediatrics 2040 was started because Dr. Chang wanted to address the issue of innovation in biomedicine not being applied as much as it could be to pediatrics. It was important to Dr. Chang to gather all of the great minds in paediatric medicine together and think about the future of the field. He believes that everyone together is a lot smarter than the smartest person in the room. One of the featured keynote presentations of the conference was Dr. Patrick Soon-Shiong, Founder and CEO of NantWorks, LLC, and leader of the Cancer MoonShot 2020 program. He spoke at the event four days prior to MoonShot being announced by President Barack Obama at his 2016 State of the Union Address. The Cancer MoonShot 2020 Program is the United States' most comprehensive cancer collaborative initiative that has set a goal to accelerate the potential of combination immunotherapy as the next-generation standard of cancer care for cancer patients. Recently, the Cancer Moonshot 2020 program launched a National Pediatrics Consortium (www.cancermoonshot2020.org/press-releases/2016/2/18/cancer-moonshot-2020-announces-the-formation-of-a-national-pediatrics-consortium-a-major-milestone-in-the-war-on-cancer-in-children). Dr. Soon-Shiong stated at the conference that he supports the development of iSPI as he believes that it is important to put resources into the pediatric world. One of the biggest resource obstacles that pediatric (and all) researchers face is getting grant funding. When asking Dr. Soon-Shiong about this at the conference he stated that he believes that scientists need to be persistent, "I think the passion for being persistent is really not for the work its self but the impact you are going to have on the patient. Paediatricians get that because the impact you are going to have is on a young life and there's a long life ahead of them." A number of innovative start-up companies, which demonstrated the passion that Dr. Soon-Shiong was speaking about, were included at the conference. They came from around the world to participate in the showcase called Innovation Beach. It was an opportunity for conference attendees to see first hand what innovators are creating. Among the inventions featured was the Infusionarium, which I have previously blogged about (www.huffingtonpost.com/emily-drake/new-innovation-in-the-aya_b_4590639.html). Innovators, like Jussi Määttä, CEO, Co-Founder at Buddy Healthcare, came from around the world to attend the conference. For Jussi, who is from Helsinki, Finland, the conference was important, as he mentioned to me "the healthcare model in Finland is too small for innovative companies, so our primary market is in the US at the moment. I know that here we can meet the most innovative people within pediatrics". The conference was a patients-included event, and among the featured start-up companies were several kid inventors (see blog 2 of this series for more on this). 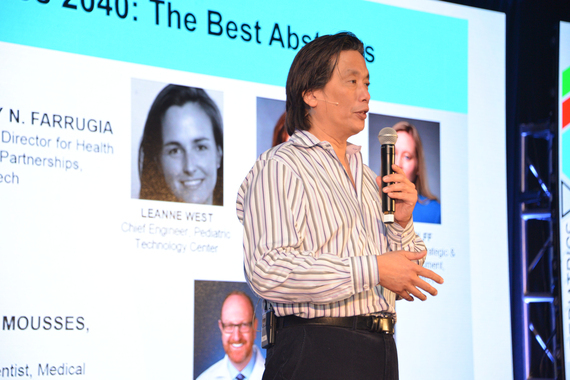 Additionally, 115 leaders from over 70 hospitals took part in an invite-only forum to discuss the future of innovation in pediatric healthcare. The iSPI group has decided that in order to push this agenda, they will meet at one major meeting a year and have a leadership forum once every six months. This is to continue progress and get attention from philanthropy, industry and regulatory bodies. By speaking as one voice, they have a better chance at achieving this. Invited speaker, Lyle Berkowitz, Director, Szollosi Healthcare Innovation Program, said that conferences like Peds 2040 are important "because you need to learn about innovation, you need to share information about innovation, you need to share stories and you need to network with others because... coming together as a group allows you to be much more creative, come up with many more ideas and be much more effective than trying to do things individually". In the future, Dr. Chang would like to see more hospital administrators get involved with the conference. The C-Suite executives and families need to be involved, along with innovators from outside the medical industry. Dr. Chang believes that a highly diverse group of people is needed to come together to solve a lot of the problems in paediatrics. As Dr. Chang said, "we need to start a revolution in pediatric medicine". Innovation is not an option, "we need to push innovation to the maximum for the sake of children and the well-being in the future". Part two of this two-part blog series will highlight the role of pediatric patients in the conference. The photo was provided courtesy of Pediatrics 2040.